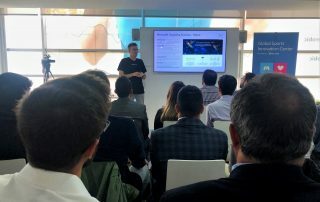 The event took place during the whole day and consisted in two main parts: presentations and getting in touch and one-to-one sessions where companies could personally talk to Iskender Dirik, the CEO of a program; Dr Ian McDonald, the CTO; Johnny Gorman, the Program Manager; Anne-Clair Lo Bianco, VC Relationship responsible; and Rachel Peck, Partnering with Microsoft and Co-Selling Responsible. 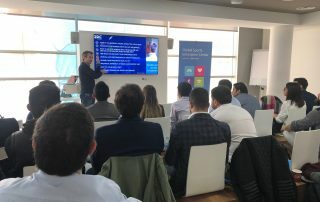 Their highly professional team introduced Microsoft for Startups program to nearly 80 attendees representing 45 Spanish startups ad explained the all its benefits such as $200 Azure credits to explore any Azure service for 30 days which is open to everyone or $25k-$120k Azure credits to explore Azure services for 1-2 years – (subject to eligibility e.g. you must be seed, B2B and generating revenue), you can nominate yourself here. 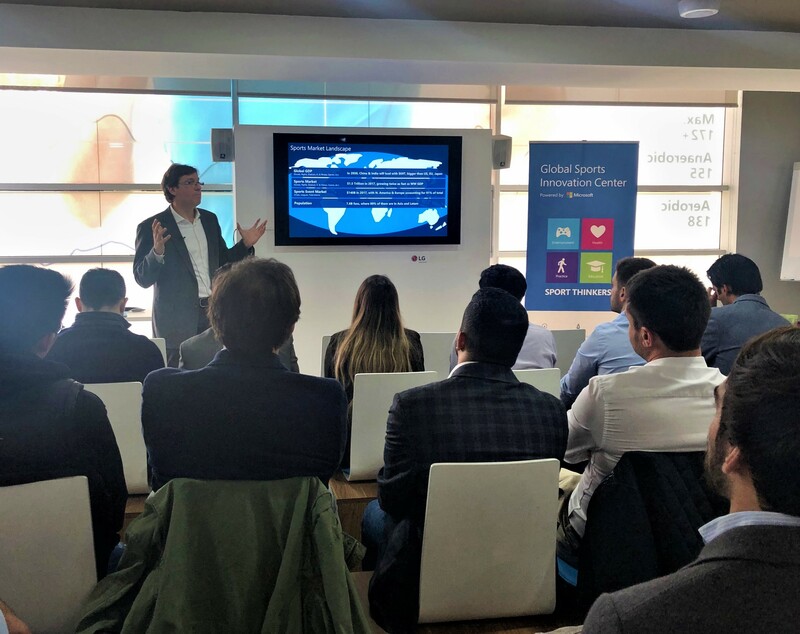 They also explained Microsoft Scaleup Program where the mission is to help companies grow, build and connect (get access to technology, customers and capital). 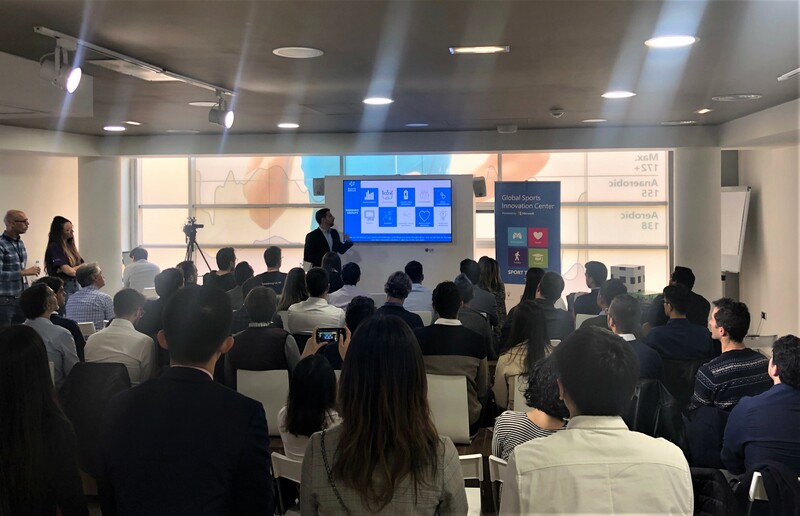 If you want to know more about the program, please refer to the brochure accessible on this link or go directly to the application form here. 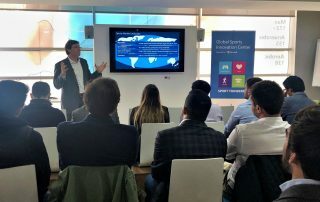 During the event all the attendees also got to know Microsoft Sports envisioning and strategy in the sports industry thanks to the presentation of Sebastian Lancestremere, Sports Business Managing Director at Microsoft Corp and GSIC’s President. 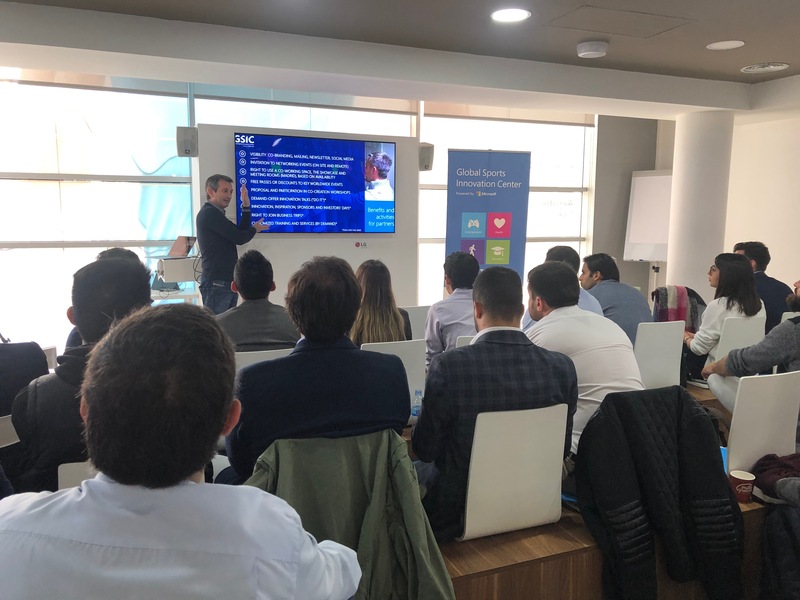 And to finish the first part of the session, we invited Adrian Herzkovich, Co-Founder and CEO of TTSPRTS, one of almost 200 companies associated to our Center. 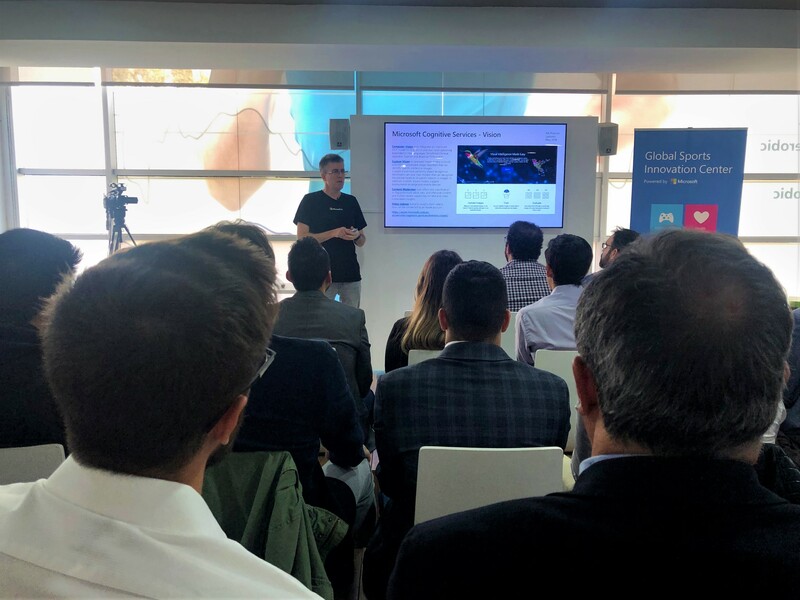 Adrian shared his experience as GSIC member since he joined in 2016 evaluating very positively all the benefits, business opportunities and industry’s contacts they received and sharing how other companies who wants to grow on sports-tech market can get the most out of the membership at GSIC.